Travel sized portions of body wash, face cream, shampoo and conditioner are the perfect items to keep in the full bathroom for your overnight guests. 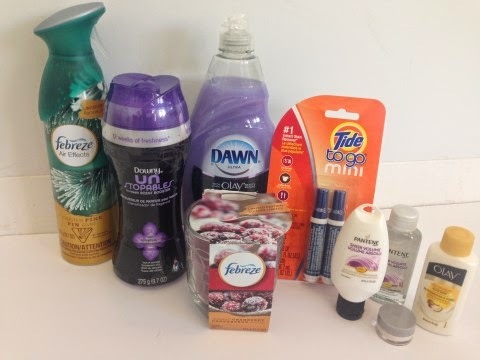 As these products are often the first items forgotten when packing, guests will not have to worry when they see Olay Body Wash and Olay Regenerist waiting for them by the bathroom sink. By entering the following contest you are accepting that if you win your contact information will be shared with a P&G PR and shipping agency for the purpose of mailing your prize. Please allow 4-6 weeks from the contest closure date to receive your prize. This giveaway may appear on other blogs as part of the #PGmom program. However, to be fair, you can only win once per giveaway. If your name is chosen more than once, another winner will be selected. All winners must be from within Canada excluding Quebec. Valid entries only. Contest ends December 15th, 2014. For further contest rules, refer to the Terms and Conditions within the Rafflecopter. My holiday hosting tip is to keep some appetizers and desserts in the freezer so you can easily prepare some food when unexpected guests pop by. My hosting tip is much the same as Jonnie's (above). Always keep some food on hand, good coffee ad food can make up for a multitude of other things that don't go quite right. I like you on facebook as Nicole Graham. The New Rafflecopter won't let me tell you that. My hosting tip is to get as much ready before the party as you can. 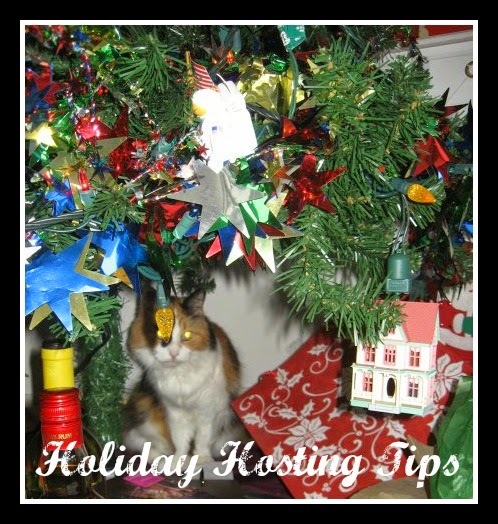 It will allow you more time to enjoy your guests if the majority of the prep work is done. Have appetizers and baked good on hand you know your guests like. Put out wine, clean towels and light some candles- the rest is gravy! Be prepared beforehand - have plenty of vino + drinks and appetizers in the freezer. I like to prepare ahead so I can relax and enjoy my guests. Plan ahead and make lists! Buy appetizers so you can spend less time in the kitchen and more time with your guests. Clean as you prepare so that you can sit and enjoy with your guests. Prepare foods in advance and freeze, this gives yourself more time the day of. Do cleaning in advance. I prepare desserts and cookies and freeze. Make lists and schedule accordingly! Make sure you get a good night's sleep because the next day will be very busy. My tip is to prepare as much as you can ahead of time. Do prep work for the food earlier in the week. Always make sure you have fresh clean towels available for your guests. If you have lots of booze on hand make sure you have lots of beds ready for your guests. have some extra treat in the freezer for unexpected guest. I like to make some cookies and bars ahead of time to have on hand! Have lots of different kinds of drinks and chips/snacks for everyone!! Prep cookie dough and put it in the freezer. Take out to bake when guests arrive on short notice. I try to keep my house in good enough shape that I'm not embarrassed when the unexpected guests arrive. get everything done in advance so you can just relax and enjoy yourself. and always say yes to help! Don't leave important thing to the last moment. Make sure the bathroom is clean and well stocked. I always make sure the Bathroom is cleaned and there are plenty of snacks. Stock Up on snacks and drinks! My tip is to have some finger foods and drinks around so guests can nibble and mingle with each other. It keeps them occupied and the atmosphere lively! Ask ahead of time about sensitivities or allergies. We always have plenty of food & drinks on hand for surprise visitors & we even have a few emergency gifts on hand for kiddies & adults!